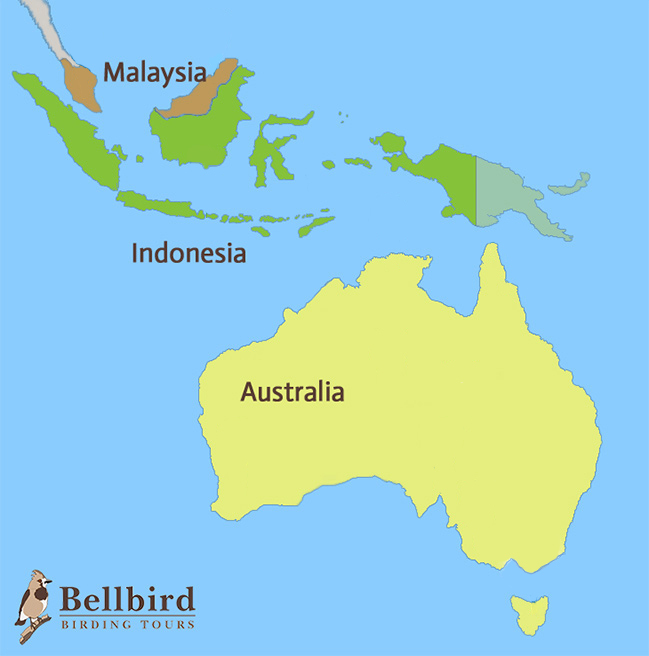 Bellbird Tours has Australia covered, with over 800 species including more endemics than any other country. Some of the very best birding sites in the world include the East Coast & Ranges, Kimberley & Broome, Outback , Red Centre, Southern Australia, South-West, Tasmania, Top End and Tropical Queensland. With beautiful and interesting birds, amazing landscapes, good infrastructure and a sense of adventure, it’s no surprise more and more birders explore Australia.